Sometimes dispute types are like busses, nothing for a long time and then several come at once. Often it is just coincidence. Sometimes, track records or industry specialisation tends to generate more of the same type of work. However, increases in the frequency of international enforcements for judgments and arbitration awards in recent years makes one wonder whether we will generally be seeing more of this type of work. It seems timely, therefore, to remind ourselves of some basics about international enforcement of unsecured judgments and awards. Assuming a valid final judgment or award and no payment, the two main questions are where to enforce and against what? In international disputes a judgment debtor will often not have an office or clear presence in the jurisdiction in which the judgment or award has been obtained and initial investigations to identify assets may be necessary. One of the advantages of proceedings in a major financial centre such as London is that the presence of banking and other financial relationships increases the chances that creditors may be able to play at home rather than playing away. There are plenty of international enforcement scenarios, but having no option but to enforce in a country with an underdeveloped legal system against a state-owned asset can be a worrying proposition for a creditor. In England, if assets cannot be identified, useful early enforcement steps include applying for asset disclosure orders and worldwide freezing orders. If you have an arbitration award you need to make an application for permission to enforce it in the same way as if it were a English court judgment but once you have the status of a judgment creditor you can make an application under s37 Senior Courts Act for an order against the judgment debtor, requiring it to disclose its assets. Failure to pay judgments can be grounds for a worldwide freezing injunction, which can also be coupled with a disclosure order. The terms of the order will prevent the debtor dealing with assets up to the amount of the debt, plus interest and costs. Penal notices on the front of the order will provide warnings to parties of the serious consequences of breaching the order. For example, in a recent 2016 decision of VIS Trading Co Ltd v. Nazarov a judgment debtor was committed for 21 months for egregious breaches of a freezing order. 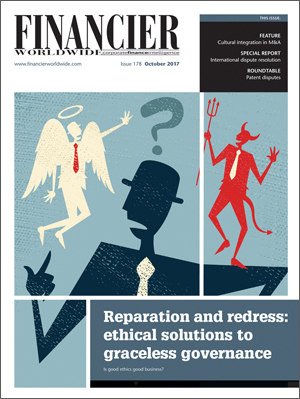 Unfortunately the term ‘worldwide freezing order’ refers only to the prohibition on the debtor’s disposal of its assets worldwide. The order has no effect on third parties outside of the court’s jurisdiction and so, for example, service of a freezing order on a bank in England is unlikely to have an effect on the bank’s branches outside of England. If assets are identified in England, execution procedures for assets allow charging orders to be made against real property or shares. Orders can be made enabling the seizure of personal assets. Third-Party Debt Orders can be used for enforcement against bank accounts or other transactions whereby payables are due to the judgment debtors. If assets cannot be found in the jurisdiction and the creditor has to play away, the question arises as to in which jurisdictions will the award or judgment be enforceable? This is largely, although not exclusively, determined by asking whether there is a bilateral or multilateral treaty which allows enforcement of the judgment or award. Advice from foreign legal counsel should be taken. The question in relation to arbitration awards is usually fairly straightforward as there is such a treaty in the New York Convention, to which there are currently 157 signatories. There are only limited grounds to object to recognition under the Convention. For judgments the answer is more complicated. Judgments from England and Wales are recognised in Scotland and Northern Ireland. For Commonwealth and former Commonwealth countries, under the Foreign Judgments (Reciprocal Enforcement) Act 1933, which applies to judgments handed down by the courts of Australia and the Australian States and territories, Canada (excluding Quebec), Guernsey, India, the Isle of Man, Jersey, Pakistan and Tonga (being Commonwealth countries), Israel and Surinam, reciprocal arrangements exist whereby a judgment obtained from the English courts can be registered for enforcement in these countries and vice versa. With regard to the European Union, the Brussels Recast Regulation governs. Judgments are enforceable by obtaining a certificate from the English court which will be automatically enforceable in another Member State as if it was a judgment of that Member State’s court. This is a relatively simple procedure and there are very limited grounds for resisting, although the procedures as to how enforcement is executed against any asset is, as ever, a matter for the local law. In terms of EFTA countries (Norway, Switzerland and Iceland), the Lugano Convention provides for enforcement of judgments between the above EFTA countries and the EU Member States. Regarding Hague Choice of Court Agreements Convention (2005) countries, the European Union is a party to this convention and therefore judgments from other signatory states, namely Mexico and Singapore, can currently be recognised in the UK and vice versa. This Convention has limitations and is not as comprehensive as the Brussels Recast Regulation. With regard to the US, there are no bilateral treaties for recognition of judgments in the US. UK judgments can be enforced in the US in a state or federal court having jurisdiction by a court action for recognition of the judgment. There are a number of objections which can be taken such as to the jurisdiction of the foreign court granting judgment and other due process/public policy objections, failing which the action will normally proceed to recognition without rehearing of the merits. With respect to Russia, the present position is that Russia does not have a reciprocal enforcement treaty with the UK. Enforcement can be applied for on more general principles of international comity and reciprocity. China has no reciprocal enforcement treaty with the UK. While on paper there is a ground of reciprocity (proof of same treatment and recognition of Chinese judgments in the UK) the criteria is unclear and these types of actions are rare. Brexit has created some uncertainty to the future of the enforcement of UK judgments in Europe and likewise the enforcement of European judgments in the UK. The Brussels Recast Regulation is only for mutual recognition of judgments from EU Member States and therefore, absent a special agreement, this will no longer apply after Brexit. Various alternatives are being floated. An adequate replacement may well be agreed between the UK and the EU. In the unlikely event that there is no agreement at all, the Hague Choice of Court Convention is open for the UK to sign up to once it leaves the EU. English common law has a long history and established case law for the recognition of final and conclusive foreign judgments for debts or definite sums of money, and so long as criteria, such as jurisdiction of the original court according to English conflict rules, proof of service of the proceedings, foreign judgments can be recognised in England. In all of the above cases where recognition has to be sought before the foreign court, the process of recognition and then the enforcement will still be subject to the vagaries of local procedures. However, many of the common law based jurisdictions have enforcement procedures similar to those in England. Occasionally there may be better ones. The historical first prize for effective enforcement procedures goes to the Admiralty Rule B procedure in the US with particular application to international US dollar wire transfers in New York. Maritime claimants or creditors could attach a defendant’s or debtor’s funds as they were wired through US dollar correspondent banks in New York due to the Winter Storm decision in 2002 which held that bank transfers were attachable property sufficient to support the court’s jurisdiction. This resulted in the correspondent banks in New York receiving hundreds of applications, repeated each day from creditors hoping to catch funds at the exact moment they passed through the correspondent bank. Nothing good lasts forever. Out of concern that the system of US dollar transfers in New York was being brought to its knees, the Second Circuit Court of Appeals in the 2009 case of Shipping Corporation of India v. Jaldhi reversed its earlier decision and put an end to this procedure. Depending on how well the claimant knows the defendant, information gathering or intelligence can be very important. By being alert during the case itself, a certain amount of knowledge can be acquired. If further information is needed, investigators can be used carefully. However, time should be taken to understand what value the investigator is adding, beyond carrying out searches which are generally available to the public, and particular care should be taken to ensure that any information is legally obtained. It can be disconcerting to a creditor when, after litigating against an opponent with daily exchanges, there is suddenly radio silence after the award is issued. The debtor’s legal representative may stop acting and sometimes you cannot get any response from the debtor. However, it is important for creditors to consider the full enforcement tool kit with their lawyers at an early stage, be prepared to act quickly if the opportunity arises but decide on a strategy and then try to make steady, consistent progress toward finding assets and enforcing against them. There is a balance to be struck between not letting your opponent know precisely what you are planning but, particularly if the enforcement is ongoing for several months, keeping the debtor informed of mounting costs and interest bills can be useful. If there are ways of keeping the debtor engaged and keeping channels of communication open this should be considered. Sometimes a change of management will be enough to change your luck and it is useful to be immediately available when the debtor feels like reaching out. Enforcement can be lonely because your applications are often not defended and there is no immediate sign of the effect of your actions, but often, freezing injunctions and other such measures have a dramatic effect on the debtor’s business operations. It just takes time for pressure to build and for these effects to become apparent. If you have a judgment or award and do not have the time or inclination to go through the enforcement process, there are others who may be prepared to pay for your judgment at a discount, or agree to pay you part of the proceeds, and take up the enforcement action for you. Andrew Hutcheon is a partner at Watson Farley & Williams LLP. He can be contacted on +44 (0)20 7814 5049 or by email: ahutcheon@wfw.com.